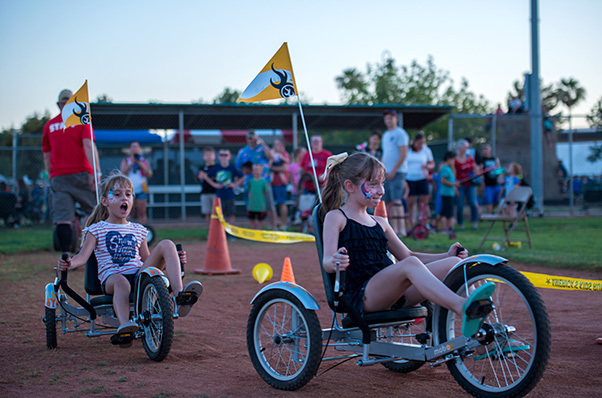 Children participate in a tricycle race during the annual Freedom Fest celebration June 29, 2018 at Luke Air Force Base, Ariz. Freedom Fest is an event that offers a variety of games and activities for military members and their families to enjoy in celebration of Independence Day. 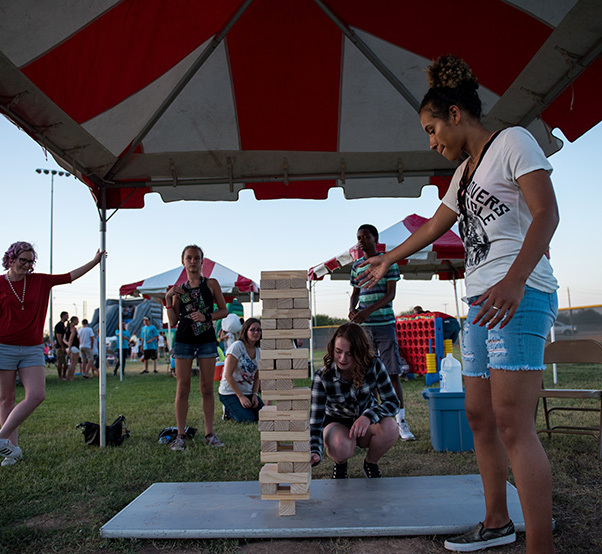 Thunderbolts play a game with wooden blocks during the annual Freedom Fest celebration June 29, 2018 at Luke Air Force Base, Ariz. Hundreds of military families attended the festival to participate in games and activities in celebration of American independence. 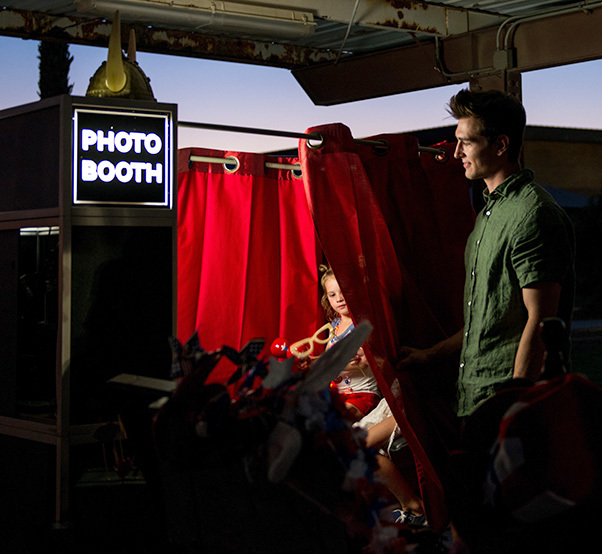 A family takes a photo in a photo booth during the annual Freedom Fest celebration June 29, 2018 at Luke Air Force Base, Ariz. Freedom Fest consisted of fun for all ages such as inflatable water slides, games, music, food and drinks. 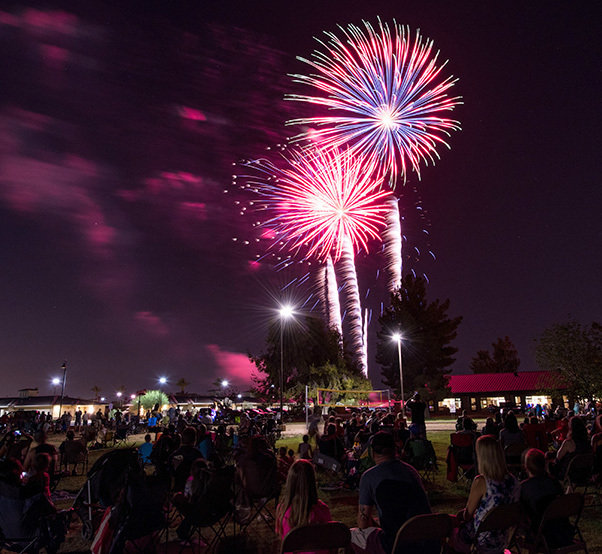 Thunderbolts watch as a display of fireworks light up the sky over Fowler Park during the annual Freedom Fest celebration June 29, 2018 at Luke Air Force Base, Ariz. 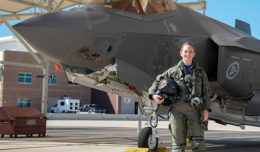 Hundreds of Thunderbolts gathered to watch the 15-minute display as the Arizona night sky was filled with pyrotechnic wonders. An Airman assigned to the 56th Security Forces Squadron participates in a military working dog demonstration during the annual Freedom Fest celebration June 29, 2018 at Luke Air Force Base, Ariz. 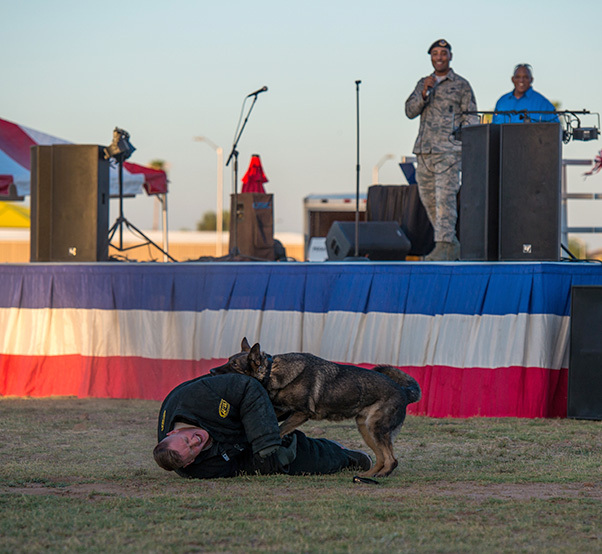 The festival kicked off with a MWD demo to showcase the MWD’s capabilities of biting and holding potential suspects. 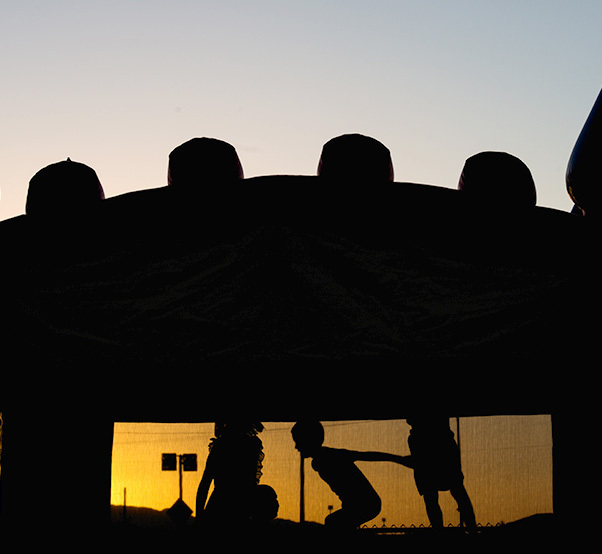 Children jump in a bounce house during the annual Freedom Fest celebration June 29, 2018 at Luke Air Force Base, Ariz. Freedom Fest held a variety of family friendly activities throughout the evening, which culminated with a fireworks display.